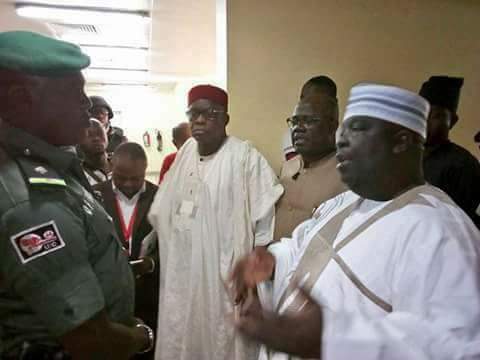 The Police deny Senate delegation access to National Hospital ward where Senator Dino Melaye is admitted. 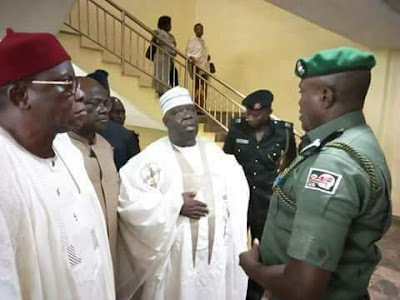 The four man delegation led by Deputy Senate Leader, Senator Bala Na'Allah. It includes Deputy Chief Whip, Senator Francis Alimikhena, Deputy Minority Leader, Senator Emmanuel Bwacha and Deputy Chief of Staff to Senate President, Hon. Gbenga Makanjuola where denied the access to see Senator Dino Melaye who was on admittion at the National hospital.